​Whether you have a puppy or a grown dog, installing smart home technology in your home can make it easier to manage and monitor your pet’s needs. And, that means peace of mind. Plus, smart home devices can satisfy your curiosity. 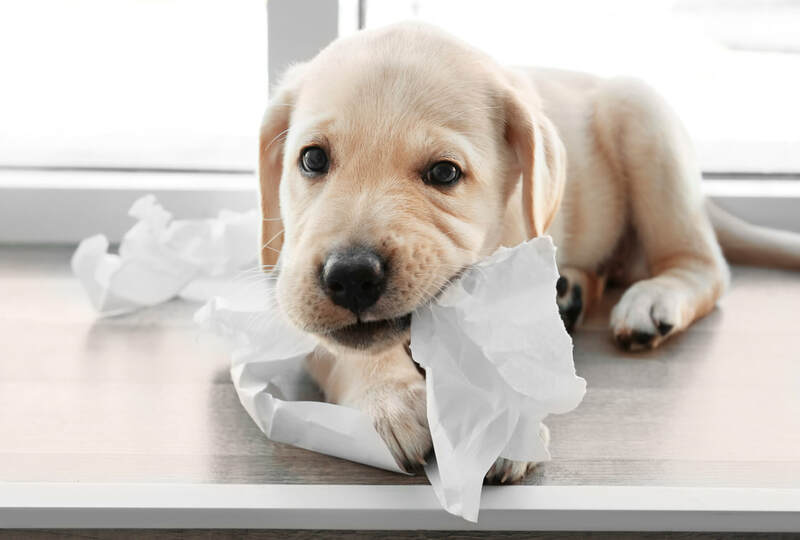 Just what does your puppy do while you’re away during the day? Is he napping on the couch or shredding something?! Smart camera – With a smart camera such as the Nest Cam IQ, you can keep an eye on your puppy day or night via the Nest app. With HD resolution video, 12x digital zoom, night vision, and a microphone and speaker – you can even talk to him through the camera. Subscribe to Nest Aware and you can choose to get alerts specifically when your dog is barking. Plus, create and save video clips and time lapses of his silly antics to share with friends and family on Facebook, YouTube, or Twitter. Smart thermostat – A smart thermostat can ensure that the temperature of your home stays comfortable for your puppy. A Nest thermostat, for example, can be controlled remotely. Its “Safety Temperature” feature prevents your home from going above or below certain temperatures. Also, you can add a Nest Temperature Sensor, which lets you choose where your thermostat measures the temperature in your home. This way, you can keep the temperature comfortable in the room(s) where your puppy spends his time. Feeder – A programmable feeder enables you to feed your puppy while you're at work – or stuck in traffic. Receive alerts when your puppy's meals are served. GPS tracker – Live GPS tracking uses a smart collar and offers activity and health tracking features. Receive notifications via an app or text message. Dog door – A smart door can let your puppy pass through, but mitigate security risks and prevent stray animals from coming in. You can also fully lock the door. Toys – Remote controlled balls and toys enable you to play with your puppy while you’re away. Dog bed – A smart dog bed provides temperature control, and tracks weight and sleep patterns. ​Contact AvidWorks Technology for details about the installation of smart cameras, thermostats and other smart home devices. To date, we’ve earned more than 800 five-star reviews of our top quality smart home installations for residential and commercial spaces (on Nest, Yelp, and Google). Send email to info@avidworkstechnology.com or call (800) 701-9021 to learn more. ​Would you dress up your smart home security cameras in something green like this? Or, would you prefer your cameras to be more visible deterrents to potential porch pirates and burglars? 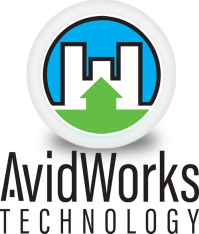 For more information about having smart cameras installed for you by an AvidWorks Technology technician, send email to info@avidworkstechnology.com or call (800) 701-9021 for details. It’s become common practice to change the batteries in your smoke alarm when you change your clocks as daylight saving time begins and ends. But, it’s also important to know that, according to the National Fire Protection Association, smoke alarms themselves should be replaced after 10 years. ​Today, one of our technicians came across this smoke alarm that may have been the original one installed when the home was built decades ago. Our technician removed it and installed new Nest Protect smoke/CO alarms for the homeowner. Nest Protect automatically runs a Self Test, where it checks its batteries and sensors every 200 seconds. Once a month, Nest Protect can also perform an automatic Sound Check to test its speaker and horn. And, you can run a full Safety Checkup any time, so you know your Nest Protects are interconnected and so you can listen to the speaker and horn for yourself. Each night when you turn out the lights you’ll get a quick green glow which means the batteries and sensors of the Nest Protect are working. You can check the battery status of the Nest Protect on your smartphone. When the Nest Protect has less than about a year of battery life remaining, it will give you a warning that the batteries are getting low. Nest Protect will pulse yellow when you turn off the lights at night and after you press the Nest button it will say: “The battery is low. Replace the battery soon.” You will also receive a message in the Nest app. 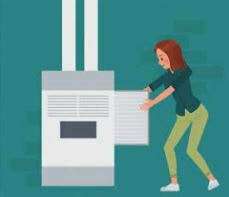 ​For more information about having Nest Protects installed for you by an AvidWorks Technology technician, send email to info@avidworkstechnology.com or call (800) 701-9021 for details. 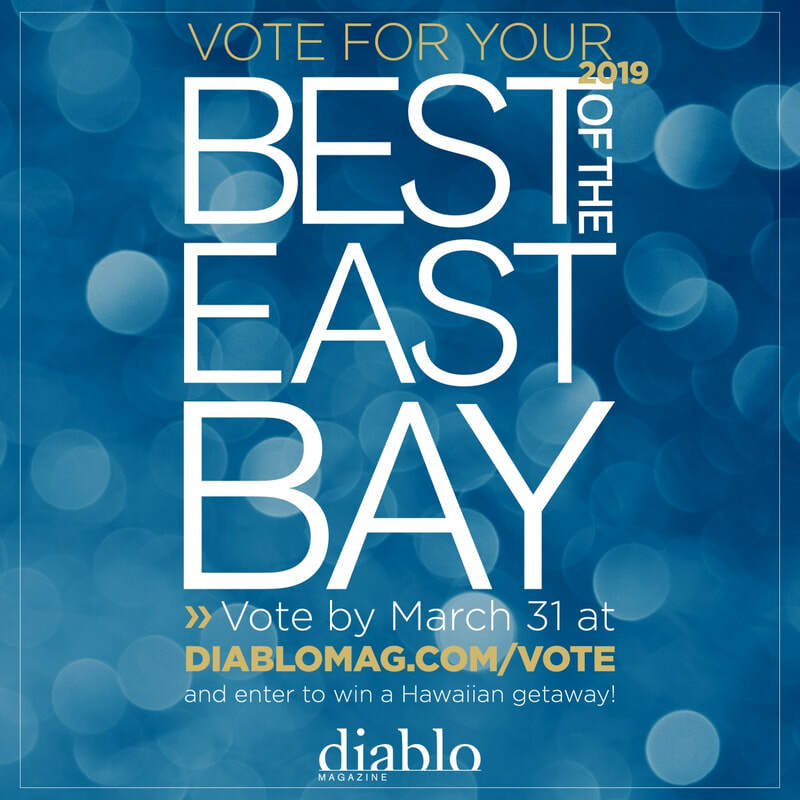 To our East Bay fans...Click here to vote for AvidWorks Technology in the “Service – Other” category of Diablo Magazine's 2019 Best of the East Bay list. We're committed to performing top quality smart home installations for your residential and commercial spaces, and have earned nearly 800 five-star reviews to date (on Nest, Yelp, and Google websites). Voting closes March 31st. Have fun! 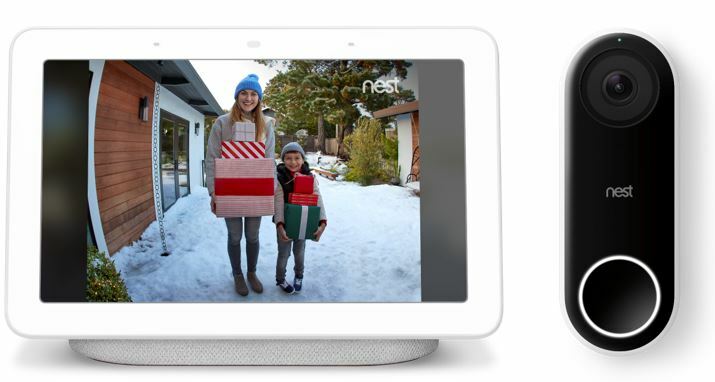 The Nest Hello Video Doorbell is a great way to greet your holiday visitors and deter porch pirates. Contact us to install your Nest Hello for you. ​Séura SMART Mirror – This is the ultimate in smart home bling! You can control your smart home by touch from your mirror. View your security cameras, dim the lights, close your garage and more – all from the convenience of a bathroom or entry way mirror. The Séura SMART Mirror can display anything that can be displayed on an Android phone, so you can also connect to your calendar, email, weather, Netflix, and other favorite apps. A wide range of sizes and frame styles are available. ​For all of you who were disappointed to find that your high voltage HVAC system wasn’t compatible with the Nest thermostat, here is a possible solution. The Mysa thermostat works with most high voltage electric heating systems. Sensative – Makes 3 wireless sensors: Strips Guard window and door sensor, Strips Comfort temperature and lighting sensor, and Strips Drip water leak detection sensor. These sensors are so thin you can put them just about anywhere and they have custom-designed batteries intended to last 10 years. Aeotec – Aeotec makes quite a few smart home products and sensors. 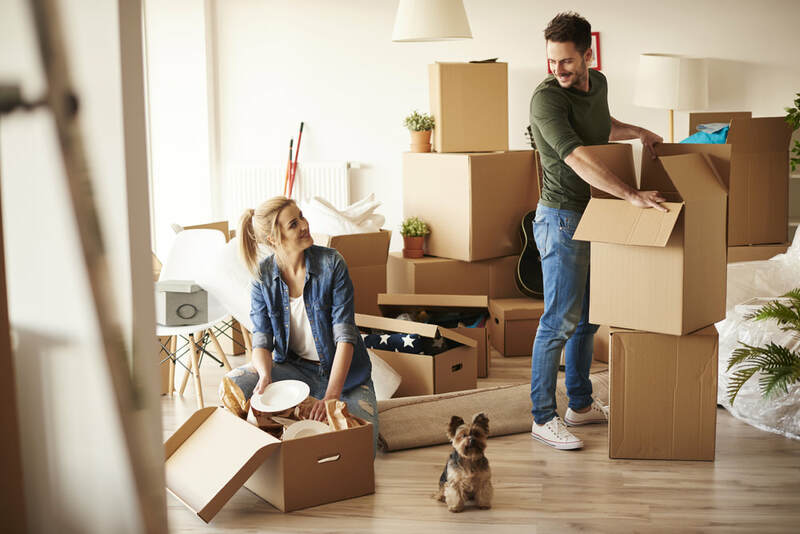 For example, their Nano Dimmer or Nano Switch enables you to convert your home’s existing dimmers, switches and power outlets into Z-Wave compatible ones by installing the Aeotec devices invisibly behind them. Fibaro – Fibaro also makes a wide range of smart home products and sensors including some similar to Aeotec’s Nano Dimmer and Nano Switch. We were especially intrigued by Fibaro’s Swipe product though. You can keep it hidden or display it as a picture frame. Control smart home devices by a simple swipe or by a combination of moves. The high resolution sensor interprets even complex commands. As a certified Z-Wave installer, we would be happy to install your Z-Wave products for you. Samsung “The Frame TV” – For art and photography enthusiasts, this TV is an unbelievable way to display your own work – or collections you purchase from Samsung. It’s a TV when it’s on and art when it’s off. By detecting the ambient light in the room, the Brightness Sensor automatically balances the screen’s brightness and color tone for a natural illumination. So whether it’s day or night, you can see your art how it was meant to be seen. ​For information on installing any of these products, call AvidWorks Technology at (800) 701-9021 or send email to info@avidworkstechnology.com. The Ring Floodlight Cam saves the day (or night)! On Friday night, the President & Founder of AvidWorks Technology was alerted to a drunk driver at his property in Atlanta, Georgia. The Ring Floodlight Cam captured video of a car driving across his backyard lawn, into his front yard, and crashing into and damaging a wall on his property. Thanks to a Ring alert on his smartphone, he was able to follow up with police remotely from California. The driver of the car was immediately arrested for a DUI, property damage, and a hit and run accident.